You already know that you can create a “My Content” kind of page within WordPress, that will list all products that a user has access to, and then each product will list the content that they currently have access to (content that has already dripped on them). But this page is a full-summary of all products, all listed on one page. Instead, if you wished to create product-specific download pages, where you create a separate page for each product, that lists all the content within just that product alone, then that’s where DAP’s “ProductLinks” Widget comes in handy. In WordPress admin, go to “Appearance > Widgets” and enable the “DAP ProductLinks” widget by dragging it onto a widgetized section of your theme’s sidebar. As soon as you do that, the DAP ProductLinks widget will show up in your blog’s side bar. 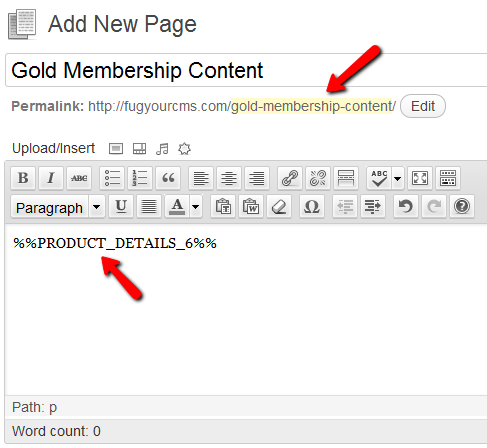 By default, each of the product names – like “Gold Membership” in the above example – will link to whatever URL you put into the “Post-Login URL” for that particular product (DAP Dashboard > Products > Manage). So the next step is to create a separate page for each product, and then enter the permalink for this new page, into the Post-Login URL of that Product within DAP. 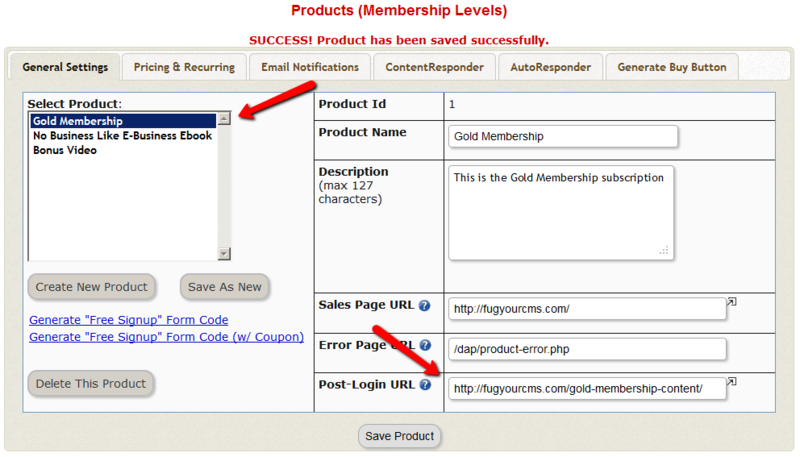 Take the above permalink and enter it into the product “Gold Membership” in the “Post-Login URL” field. That’s it! Do the above for all products and you’re done. 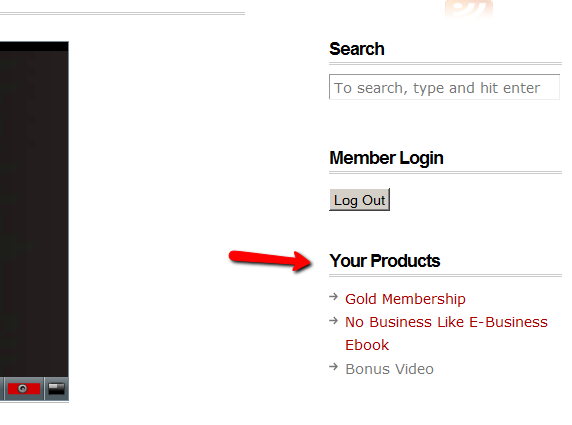 For each product that your member buys, the “Your Products” widget will show in the side-bar. It will list all of the products that the member has purchased. When member goes to that page, the DAP merge tag you entered for that product will expand into product details and product-specific content links just for that product.